The Resources have had a major update today. First, The Schedule is back. I was about to retire it: so thank Olie Brice for telling me he was using it! It is now stylistically in line with the other resources. The Schedule now lists personnel (these are drawn from THE RHIZOME), and links to graphs on THE RHIZOME; the venues now use the Incomplete Map. 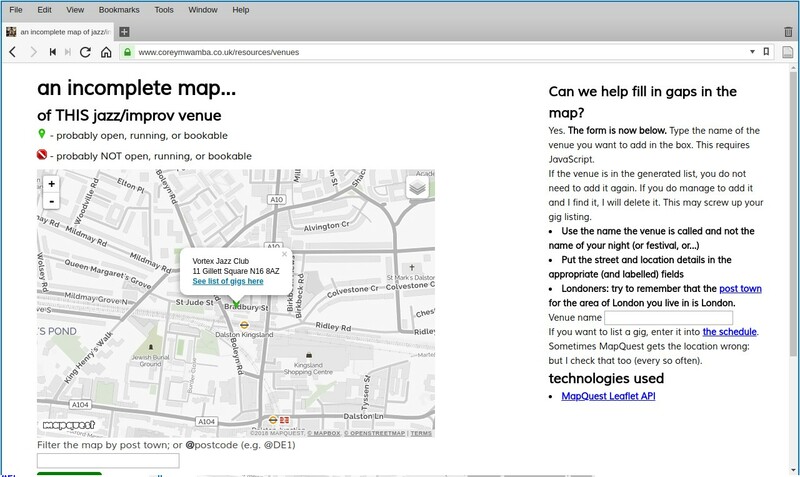 The Incomplete Map now has a link to display a schedule of gigs for a specific venue. 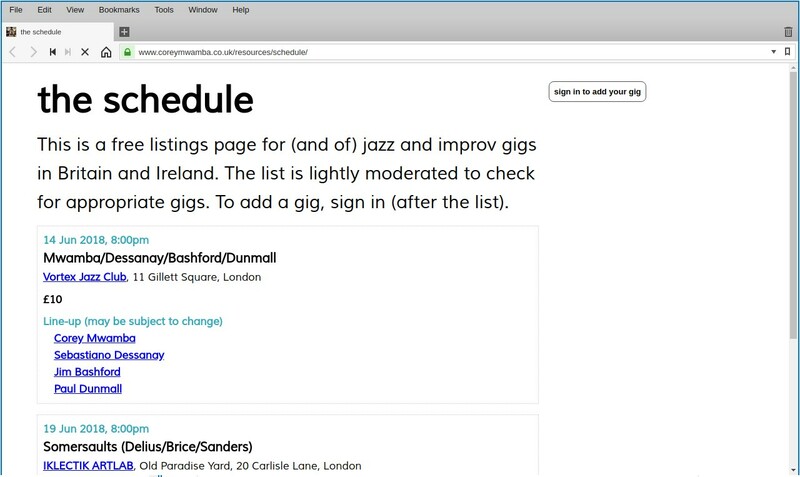 This link filters The Schedule. 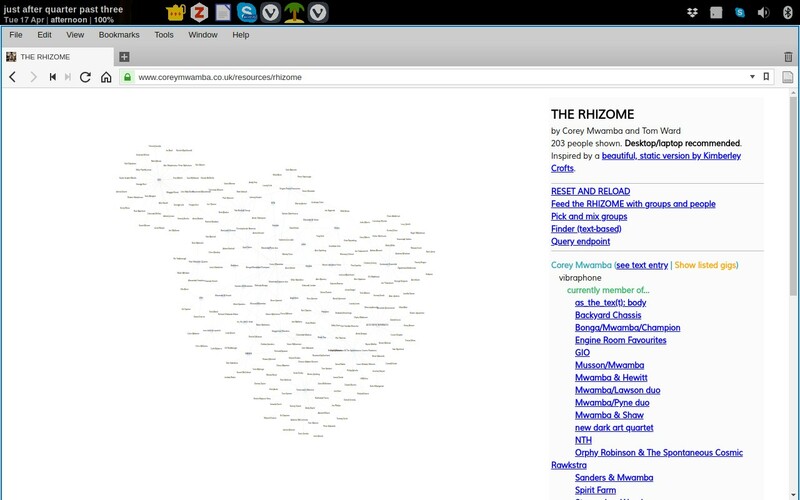 Similarly, you can now do the same thing from THE RHIZOME for a group or person. previous: Tempo magazine (1937) - can you help?